Waves are devouring the coast on the remote island of Santa Catalina. The encroaching sea reduces the already limited arable land and raises the spectre of food insecurity on a island so remote that imported food is logistically impossible. 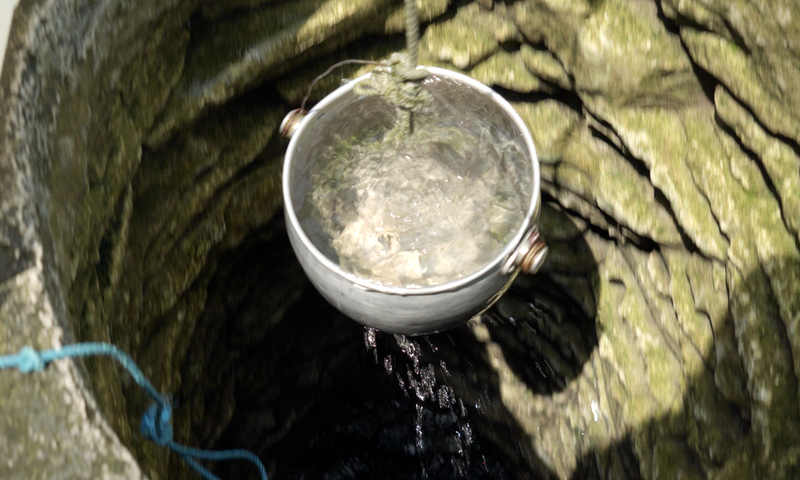 Hand dug wells like this one have served the community of Ferafalu for decades by providing access to the fresh water lens just below the surface. But wells are becoming salty as the sea rises and mixes with the groundwater. With no other options, people have been drinking the salty mix but the problem has only grown worse. A mother lights the morning fire in her kitchen to ‘hotem’ water for tea. Piles of coconuts husks tell a story of hard work scrathcing and the walls are a testament to sustainable building materials. A little girl stretches as she begins her day in Tuwo community on the reef islands in Temotu. Having enough water at home means that clean hands and clean water keep her and her siblings healthy and ready for the day ahead. 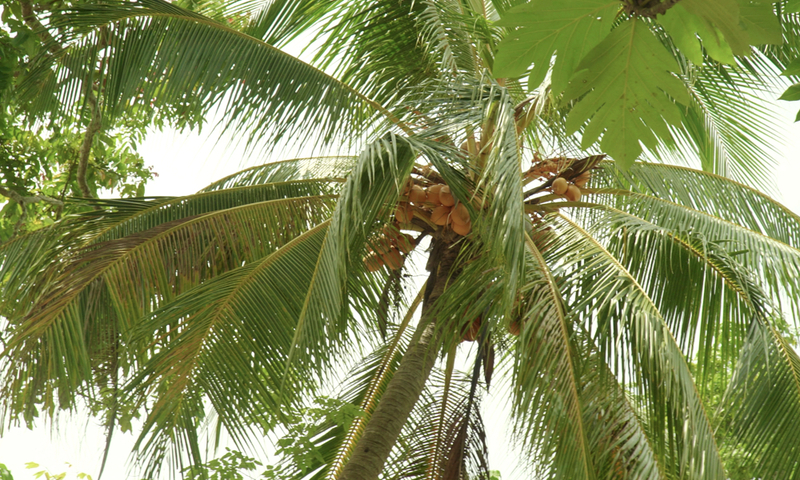 Ted Blessing points to the hundreds of banana trees that have been killed by salt water on the island of Santa Catalina. The sea is breeching the fresh water lens and making it impossible to grow traditional crops and creating a shortfall of food for the growing community. Two pikiniki stand next to their house in Tuwo village in Temotu province. The Quick Fix phase of the project has provided immediate relief to communities that were struggling without enough fresh water. The tanks are part of a strategy of diversifying the sources of water so the community has more resilience for the unknowns of the years ahead. A narrow strip of sand is all that separates Tuwo from the sea, making it vulnerable to extreme storms and erosion. Rising sea levels mean that salt water is contaminating the fresh water wells and creating an immediate threat to the families who have lived here for generations. 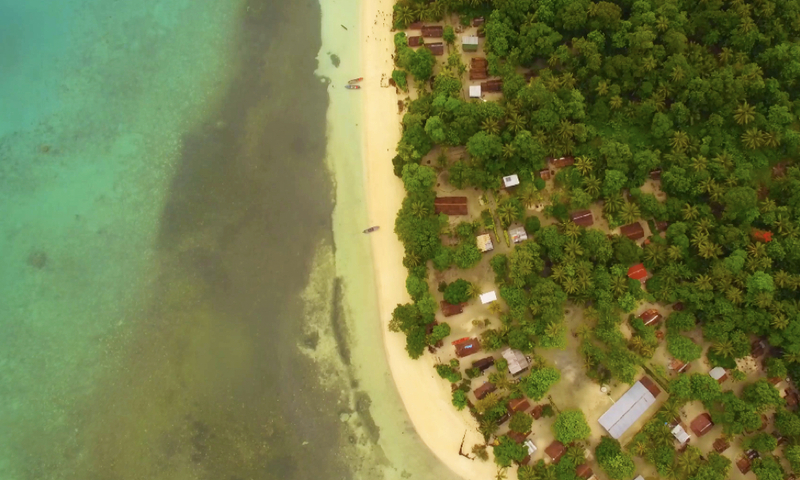 Communities on the frontline of sea level rise and extreme weather events are working with the government of the Solomon islands and global experts from UNDP to find ways to adapt to the changing environment. Six remote communities across the country have become innovation hubs to test and refine methods to cope with issues like drought and salination of wells and the loss of crops to the encroaching sea. 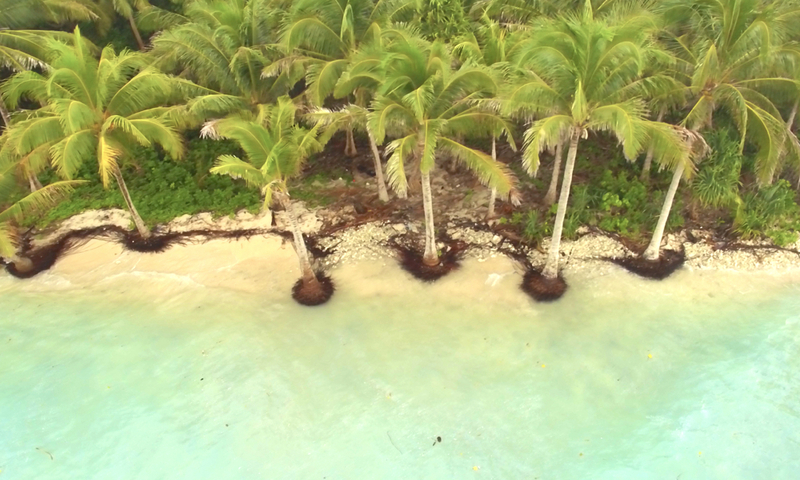 The goal is to equip these communities with the resilience to meet the challenges of the future and serve as a replicable model of adaptation around the Pacific and the world. Solomon Islands is especially vulnerable to the effects of climate change and it’s essential to begin adaptation now to mitigate the impact. As a collection of islands and atolls with most people living near the coast, the country will be transformed by predicted rises in sea levels. Changes in rainfall patterns will mean longer drys spells and rain water tanks will not be enough. More severe tropical storms pose a serious risk to communities across the country and water systems need to be protected to withstand these extreme weather events. The Sustainable Development Goals and Agenda 2030 provide an clear framework for the SIWSAP initiative. Moving beyond the simplistic formula of providing rainwater tanks, the project considers the needs of the community and works to expand, diversify and protect water sources in a more comprehensive way. Anticipating projected climatic changes is central to the SIWSAP approach and delivering to meet the long term needs of the communities in a dynamic partnership is a key point of difference in this innovative pilot. 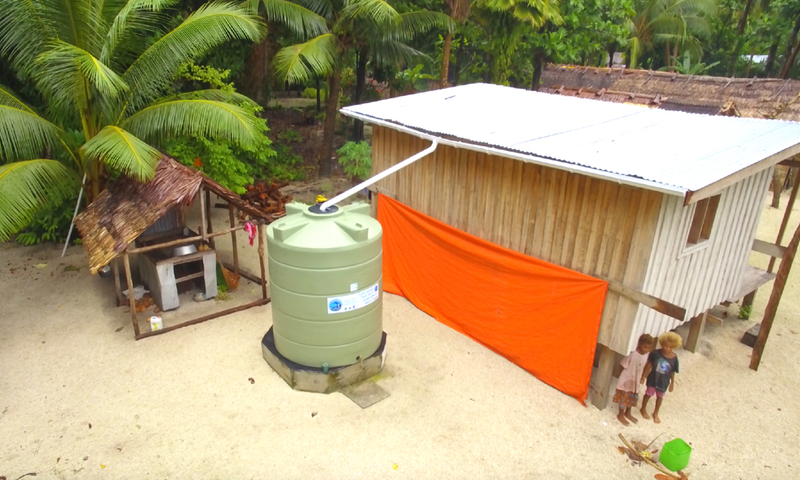 The government of the Solomon Islands is leading the project and this local leadership ensures that the improvements and assets set up during the implementation will be helping children and families drink clean water in safe and hygienic communities for generations to come. The communities working with SIWSAP are already reaping the rewards of preparing for the future of climate change. Each community has improved water and sanitation systems that are resilient enough to withstand the inevitable shocks of extreme weather and prolonged drought. Desalination units are turning the sea into clean drinking water and detailed surveys have helped each community identify additional water sources to be developed in the years ahead. The economic benefits will be proven with time but already the abundance of fresh water is making a difference for families across the country.